Rhondel Wilson is a website developer who has been doing website development since 2009 and has over the years worked with many clients from whom he has received many positive reviews. 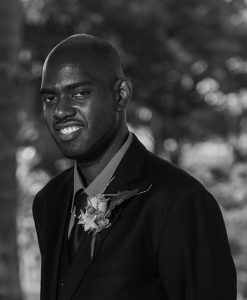 He got his start in website development whilst studying for his bachelor’s degree in Information Technology, where he learned the basics of website design. At the same time, he worked with a small company named Ameltek where he got to put his skills to practice and develop his craft. He was also then introduced to the Joomla Content Management System and completed a number of successful projects as the Junior Website Developer in the Ameltek team. After this he decided to go freelance and exponentially increased his knowledge and skills to the benefit of many of his international clients. He gained a much deeper understand and competence in the Joomla CMS but based on the market decided to learn and use WordPress to the point of now also being an expert. With excellent communication skills and professionalism he has been a joy to many of his clients and has always been able to deliver on projects in the expected time. He is a hard-working and responsible individual with a healthy work ethic. Given the importance of learning new things in this fluid field being a fast learner is a plus as he is always willing to expand and develop his current skills even further.